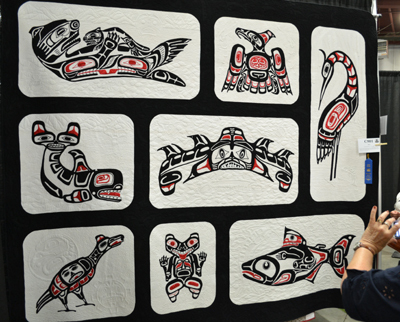 You will note that I said "A" favorite quilt from the 2013 Vermont Quilt Festival, for in truth I had many and for different reasons. I did decide to feature them in separate blogs to do them justice. 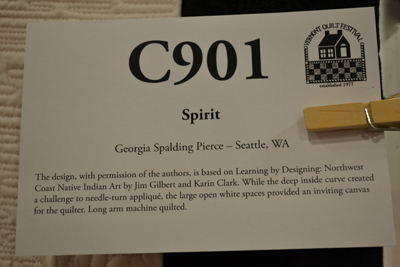 Years ago I stood in back of a child while both of us were admiring a full-sized art quilt and were reading the blurb written by the artist. 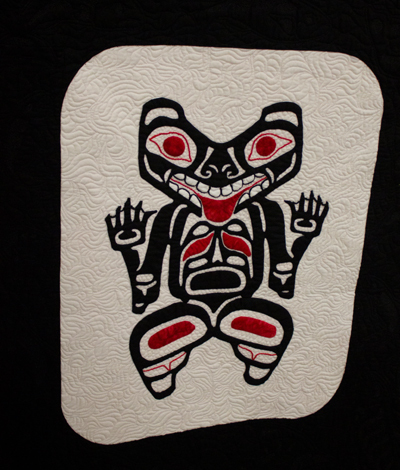 It stated that the quilter had taken more than a year to complete the quilt and the child was expressing his astonishment, as I was doing the same. The child was blown away by the fact that any project should take THAT long and I was blown away that it took her ONLY that long. 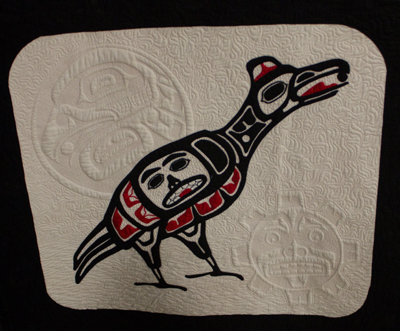 I have many quilts started that won’t be finished for ten or fifteen years or more. 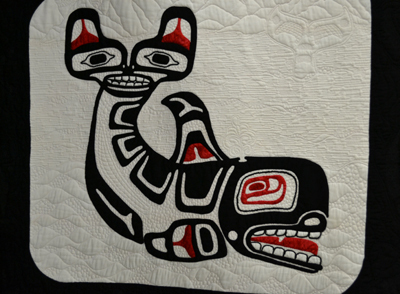 For me, starting a quilt is one thing and finishing it is quite another, though I relate to my started quilts like they are already done, for in my mind, I can see their intricate borders and detailed hand-quilting. I hope to live long enough to finish mine, though I continue to plan more? 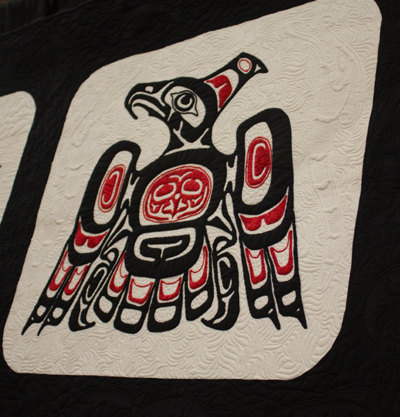 Back to the 2013 Vermont Quilt Festival and one of my favorite quilts. The pictures are worth more than any words so I will spare my readers. 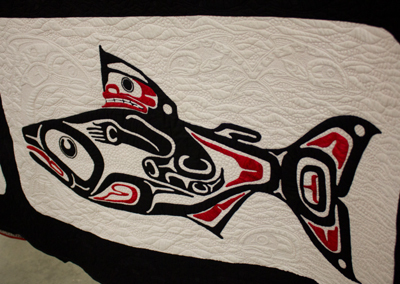 Do note the beautiful quilting!! 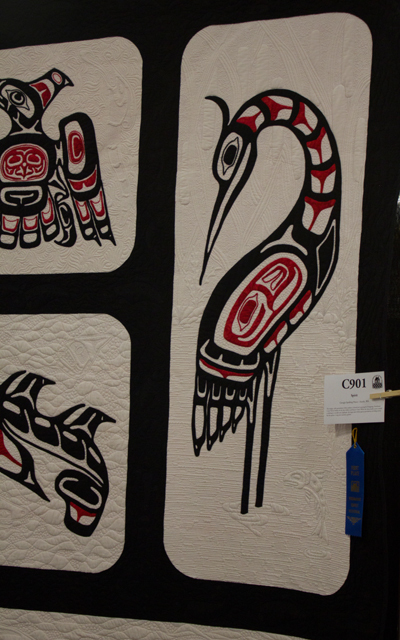 Picture-taking at shows must respect the other viewers and often the lighting is less than optimal to properly catch the full beauty of the quilts, and so it is with this quilt! I am so glad, however, for the opportunity to see them and thanks to my husband and daughter, to see them again and share them with my readers!! 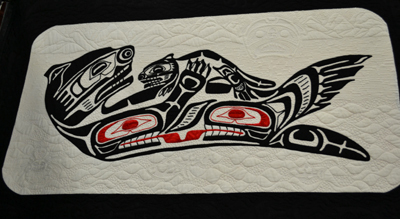 My congratulations and thanks to Georgia Spalding Pierce for sharing this beautifully designed and quilted work of art!! Victorious Women of Today--Of Course They Can!